The Rio Salado Library is proud to introduce the Computer Technology Research Guide. 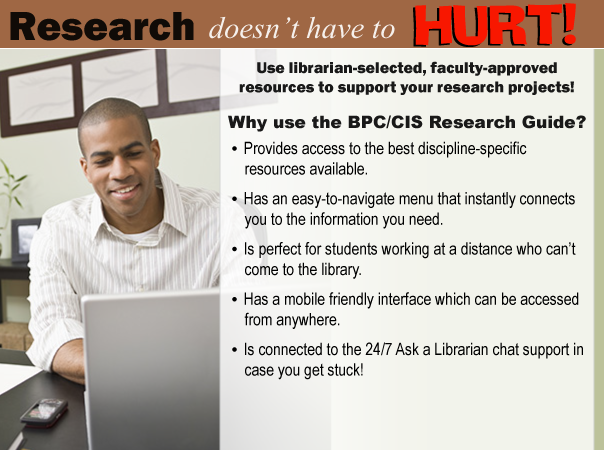 The guide provides links to key discipline-specific library and Web resources for BPC and CIS students. This subject-specific guide is designed to be a one-stop shop for BPC and CIS related research. Special thanks to Rio Salado Library Instructional Coordinator Kirstin Thomas for investing the time and energy to design this new guide. We hope you find value in this new service. Send your questions and comments about the guide to kirstin.thomas@riosalado.edu.